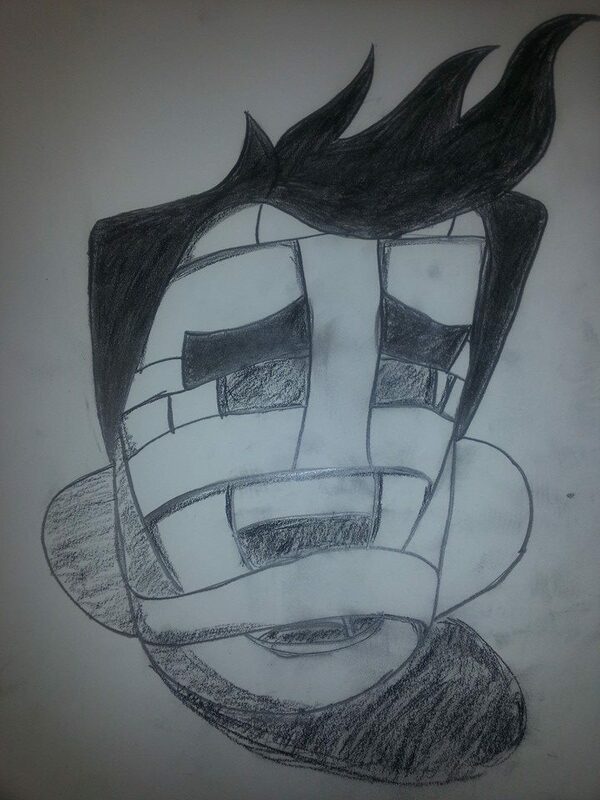 This is my mask project along with the sketch of it. 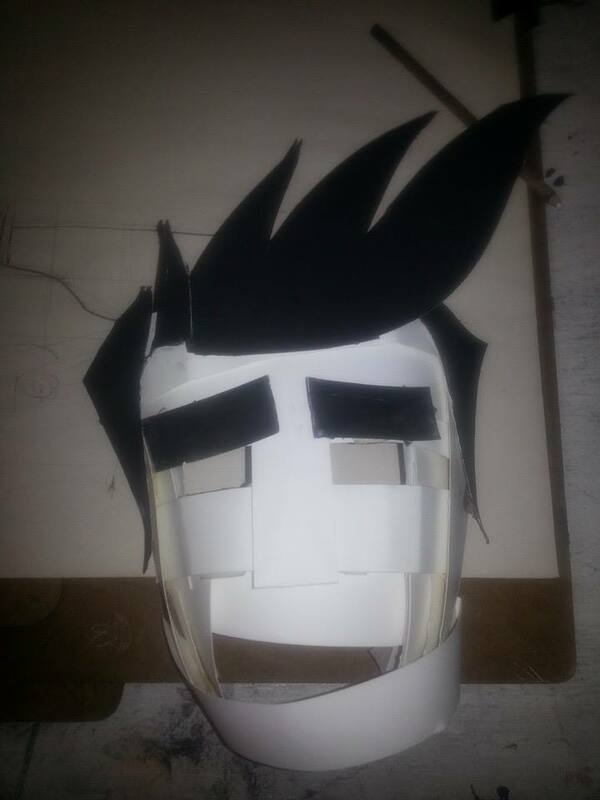 I made the mask out of bristol paper withe the addition of charcoal to color in hair and eye brows. For the drawing of my mask, I used it with an ivory pencil. I thought of three questions that I would answer about my project: “What is the character or personality of my mask?, How did I come up with the design? and what could I have done better? The mask’s facial expression looks rather confused and unsure of itself. It has a crooked smile which hints at it being nervous. In my drawing, I made the face more frightened than just anxious as its eyebrows help display the emotion it is portraying. The mask’s structure is not held together completely. It may look flawed; however, this helps it since the face falling apart is symbolic of the character’s courage falling apart. At first, I didn’t really think of how I wanted it to look like at the end. Eventually I decided to add things that my peers didn’t think of doing yet such as add hair and ears. I felt that it would be a great idea to be original by giving the mask more life with extra details. The mask has some aspects of myself in the design because of the similar hair, eye brows and goofy expression. There a few things I wish I could have done better. First I should have took more time putting the mask so it could be more stable . Instead of coloring in paper with charcoal I should have used black construction to prevent smudges from getting on the mask. Lastly, I would have liked to see how much further I could go with making the mask appear to be more expressive.